One of the great things about the blossoming craft beer landscape is the spirit of cooperation amongst the breweries. 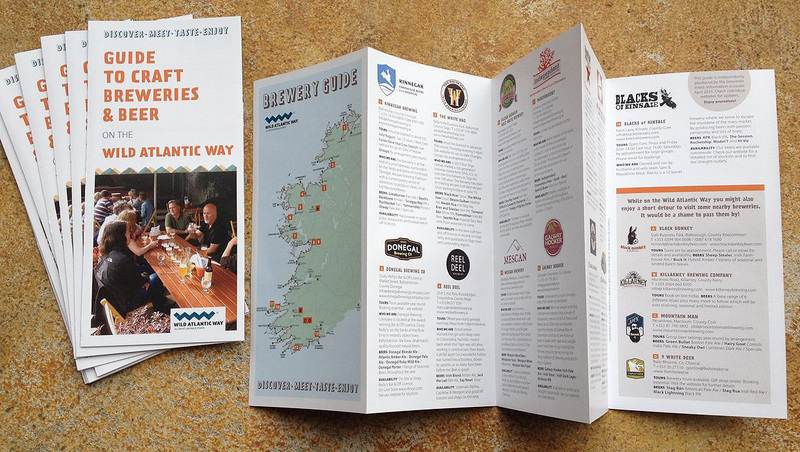 We’ve managed to completely confound that pervasive Irish inclination to “go it alone” by producing a new Guide to Craft Breweries & Beer on the Wild Atlantic Way. No fewer than 17 breweries have collaborated to create the guide and it’s a wonderful source of information (and inspiration!) for anybody interested in combining their love of good beer with the magnificent landscape, culture and people of the Wild Atlantic Way. Now’s the time to start plotting your journey from Kinnegar in Donegal to Blacks in Kinsale! This entry was posted on April 27, 2015 by kinnegarbrewing. It was filed under On the road and was tagged with donegal, wild atlantic way.